Going on a vacation far away? Or maybe you are about to hang out on the road in an RV? Whatever you decide, one thing you will surely need in RV is a water heater. However, with portable tankless water heaters, you can easily travel around without missing hot water. You can install them in the RV as they save space, energy as well as money. After all, nothing says ‘home’ like a hot shower after a hard day of outdoors. So, if you want to get the best portable tankless water heater, browse through the sections below and see if you can find your perfect match. The Eccotemp L10 heater is the ideal water heater for outdoor use. It can provide 2.65 gallons of hot water in one minute, as hot as 80°F to 120°F. It is powered by a 2 D battery ignition model, and it can conveniently be attached to any nozzle that makes it perfect to use in many outdoor locations like cabins, woods, and lakes. The ignition system can only begin with running water, meaning that any overheating of the L10 is out of the question. The heater is lightweight and compact, weighing only 18 pounds with 18 x 13.5 x 6.5-inch dimensions. It also works on 75,000 BTU, which is quite impressive since it essentially uses less energy than other indoor and outdoor tankless water heaters available. The L10 uses an automatic shutdown mode that turns the heater off after 20 minutes of use so that you can maintain its battery life. It also makes use of a stainless-steel rain cap so that users don’t need any extra vent piping. 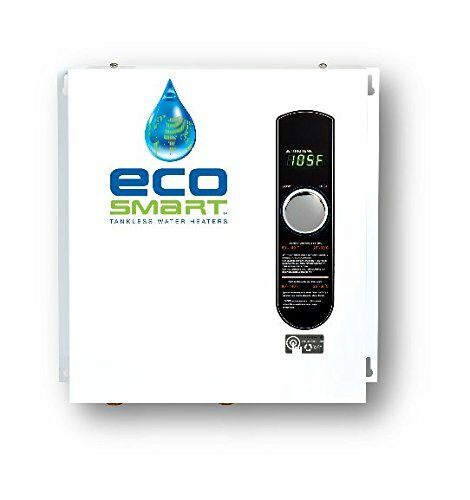 The heater comes with a 1-year warranty, but its design and materials make it such a strong and durable tankless water heater that the warranty ultimately becomes obsolete. Eccotemp as a brand is known quite well for making high-performance water heaters, and the L10 is no exception to this rule. Although it does have its drawbacks, the bottom line is that the L10 is still a tankless water heater that gives great quality and efficiency. Moreover, it is perfect fit for your RV. 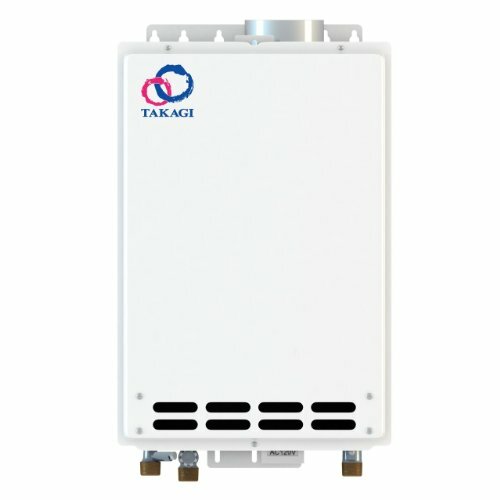 The Camplux 5L Outdoor tankless water heater is a marvel in tanker production since it offers the unique benefit of portability. You can carry the water heater to different locations along your travels to use wherever you need it, without having to worry about energy consumption. The propane gas supply is CSA-approved which runs the heating, fed through a 5-foot propane pipeline that is also included. The heater has a capacity of 1.32 GPM, which can be a drawback since the water takes longer to heat up. Another great feature of the heater is that it works with very low pressure. It just requires 2.0 PSI of pressured water to begin supplying the water immediately. The Camplux 5L is great for families or groups that love to travel and usually, find themselves in conditions where the hot water is hard to come by. Buyers love the convenience of it being a portable product, but more than that, they get to enjoy its minimum power requirements which is a remarkable feature. 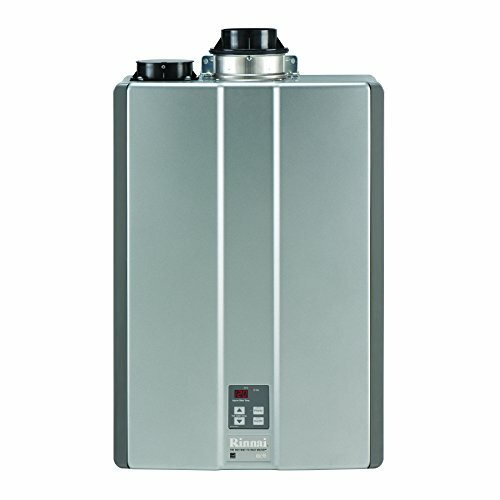 It is one of the ideal water heaters that can be easily used on water supply lines where the flow is as low as 2.0 PSI. The cost of this amazing water heater is also eye-catching since its features and minimal long-term maintenance costs make it a much better buy than other heaters. The Camplux 5L has redefined tankless heaters with its great portability and versatility in usage. If you need a strong, dependable, and functional hot water tank to use on your next camping trip, in your yard, or anywhere else outdoors, then the Camplux 10L could be the perfect heater for you. 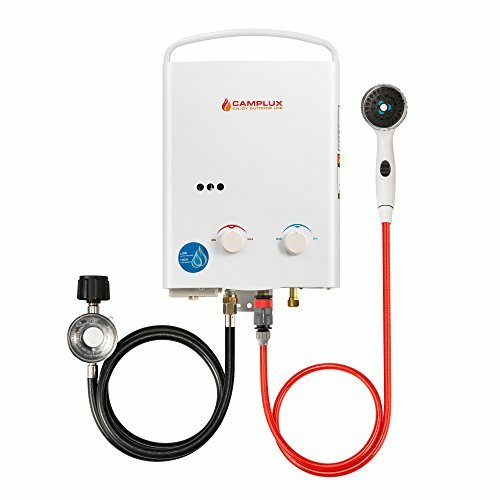 The Camplux’s water heater takes the gas route for power to accommodate its need for portability, unlike other water heaters that work on copper heating elements and electricity. To use this water heater, you just hang it up in the area you’re in, attach the propane tank, and start the ignition using either an electric socket or two DD batteries. After that, you can fix both the water flow and the temperature with the dials present in the front. You can get a great capacity of up to 2.6 gallons per minute of water flow. The heater comes with a shower hose to make it easier to use, but you can still opt for the traditional hose if needed. The same hose is used to connect the Camplux 10L to any water source. The heater is meant for outdoor use, but it can be used indoors by installing a flue pipe to move any exhaust away from the area. 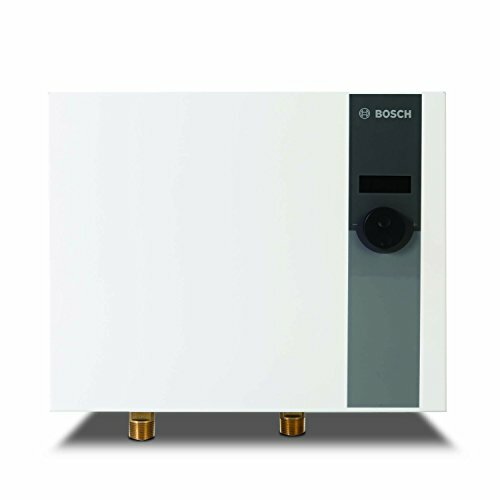 This is definitely a tankless handy hot water heater, providing a package of sleek design and convenience, along with its impressive heating capabilities and ease of use. And with its affordable price, you can’t deny that it is certainly worth buying. The EZ 202 gets its energy from a propane tank to effectively heat up water. Its Winter or Summer options, flame level, and water flow can all be adjusted with a simple knob. The heater uses 2 D batteries to ignite and has a digital display to show the water temperature. It comes with a hose and shower head, which are portable just like the heater. The heater’s design is top-tier, while its knobs and slots are firmly set to provide durability and longevity. The connection slots are labeled for easy use, and it is also easily set up and used to give hot water instantly with a turn of the knob. The heater provides 3.2 gallons of consistently hot water. Its steady temperature prevents users from receiving any accidental burns. The heater has an automatic power-down mode after every 20 minutes, which makes it less energy-consuming than most other water heaters available. It can work perfectly well with the average garden hose and does not require a high pressure of water. Furthermore, it gives users the luxury to enjoy up to 40 nice, hot showers from just the one tank. The EZ 202 is certainly a great product for outdoor use. It is portable, efficient in energy use, and it has a minute water pressure requirement. It works with just about any water hose, so you can have the benefit of enjoying hot water consistently and continuously during your travels and outdoors. If you’re looking to get a portable tankless water heater that promises performance and quality at a reasonable price, then look no further than the Gasland’s Outdoor Portable. This is a popular choice among campers, families, and travelers looking for an easy water source. The product’s heating system is very easy to use, and the heater comes with everything you need including great customer service and a detailed instruction manual for installation and use. The unit is both compact and lightweight for portability and space consumption which is ideal if you’re traveling long distances in small cars or SUVs. Although, you will have to get some 2 D batteries along the way since they’re not provided. The heater is very consistent in providing hot water continuously, which is exactly what buyers need during their outdoor activities. It also comes with fixing kits and flame failure devices to help you deal with system failures along the way. The heater is very easy to set up and can be connected to basic water tanks and garden hoses for easy outdoor use. Not only that, but the heater can also be conveniently used indoors as well, making it more versatile than other water heaters out on the market. 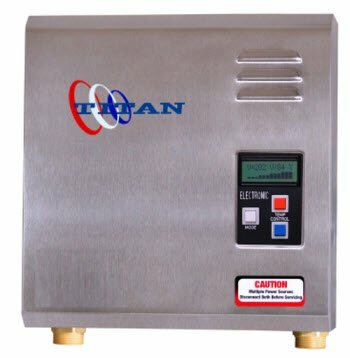 If you want a heater that offers you great water capacity, heating, portability, versatility and ease of use, then the Gasland Tankless Water Heater is for you. This Gasland Heater works well at low water pressure, needing only 2.18 PSI to function. Its functional propane gas pressure is 0.4PSI and it uses a power output of 41,000btu every hour. The heater’s energy-efficient design allows instant heating up of the water, and gas is only used when the water is flowing. Don’t worry about power usage since it works with 2 D cell, so it doesn’t have to rely on electricity. This is especially convenient for houses with power outage problems. The only downside to that is that you’ll have to get the batteries separately which isn’t that bad. You can enjoy consistent hot water that flows continuously while using brackets to hang the heater anywhere, and foldable handles to carry or store it whenever you don’t need it. However, for drinking water this water heater is not suitable. You can easily set up, install and use the heater by reading the detailed instruction manual provided. The heater also comes with a 5-foot CSA-approved regulator & gas hose, garden hose, shower head, pedestal, and 5-foot shower hose. You’re also provided with fixing kits including water tape, wood screws, and washers, so you can securely hang your water heater wherever you need it. The Gasland 1.58GPM 6L is one of the best outdoor tankless water heaterson the market. Therefore, it is a perfect source for hot water outdoors and is great for camping, RV life or any other adventures you might be planning on taking. What to Consider When Buying a Portable or RV Tankless Water Heater? Buying portable or RV water heaters can be a challenge because RVs are small in size and heaters might not fit in. What’s more, you might have trouble conserving energy. To help you choose the best portable unit, I have compiled a comprehensive buying guide that hopefully helps you to make an informed buying decision. First and foremost, the size of the water heater must be small or else it will talk up all your bathroom space. In RVs, where there is barely any standing room in bathrooms, you want a heater that barely takes up any space. So, I recommend going for smaller models. This is desirable in cases you want a portable heater as well for taking to your summer lodge or your forest cabin. Another factor to note is that the unit should be easy to install. Although this will not have much impact on its performance, it can be a burden. Most folks only rent an RV and others use their summer homes once a year, so they usually remove the unit after their vacation. So, choose one that is easy to install by yourself. Otherwise, you will have to call a professional to install it each time you wish for a retreat to the woods. It would be unwise to use a 6 GPM model in an RV with a single bathroom or to use a 1 GPM one for a huge cabin. So, we recommend choosing a model with a water flow rate that matches your amount of use. Since RVs only have a sink and a shower, you can use some of the smaller models. For other purposes, you can use a larger portable heater. Temperature rise depends on the location. Of course, it might be colder in the woods or on the road than at your home. So, I recommend you choose a stronger model if you intend to travel in colder climates. However, if you are traveling in colder climates, then don’t waste your money on a more powerful unit, instead, buy a smaller one that can easily reach 105 degrees F without affecting the flow rate. Of course, one of the most important factors is that the unit should be energy efficient. In RVs, where your car battery is the only source of power, ensure you use a model that is at least 90% efficient. This ensures that the model does not lose any energy and all energy is used in heating the water. Otherwise, you will end up with a drained battery. 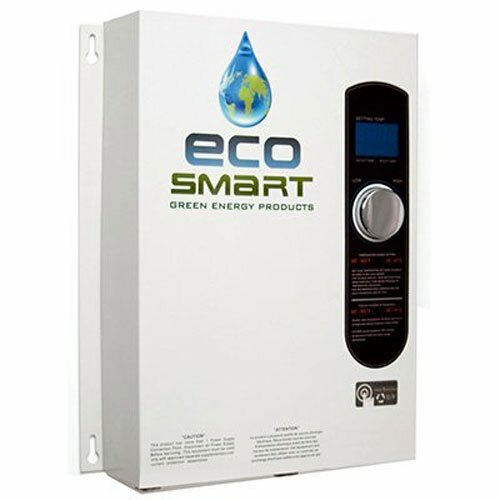 Ecosmart uses a patented self-modulating technology for most of its models, where each unit only uses the amount of energy it requires. Some models allow you to set the temperature however you like, while others have temperatures that are flow controlled. It is much better to have a digital temperature control that allows you to set it yourself. This will ensure you do not scald yourself or freeze yourself in the shower. Of course, you might want a larger range as you don’t know where you might be heading. It could be a beach or a lodge between snowy mountains. You need a model that can be easily used in both situations. So, we recommend going one with a larger range. The tankless versions are already durable as there are no tanks that will leak. However, I recommend that users look for the type of materials used. This will help them determine whether the unit can bear the wear from traveling and re-installations. Also, look for the warranty terms and conditions and what it offers. Why Should You Use a Portable Tankless Water Heater? Of course, this is an obvious one. But the small size of these units allows you to take them anywhere you want. Whether you want to travel with them in your RV or you want to set them up in your beach house or your mountain cabin, these units will easily fit anywhere. You can easily carry them in your car to your next visit to the vacation house. The number one advantage is that these units are small which allow you to install them anywhere you like. This is especially beneficial for vehicles like RVs which have small bathrooms. These heaters won’t take much space. Furthermore, they are tankless which means they heat water as it passes through them. This saves a lot of space for other things. 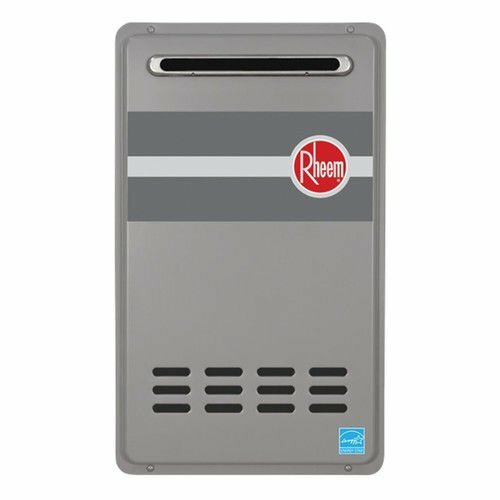 The tankless units are better at saving energy as they do not heat up whole tanks where most of the heat is lost. Instead, they are almost 90% efficient in saving energy despite their small size. This means your RV can run the unit without the fear of running out of any electricity. With a long road ahead, you don’t want to wait around for the water to get heated. This is where these portable tankless models come in. They heat the water as it passes through. Ensuring you always have hot water on the road or after a cold day of snowboarding in the mountains. Imagine waking up to a flooded RV because your tank heater had a leak. This is a worst-case scenario which can ruin the whole mood. Tanks are susceptible to leaks, breaks,and bursts. This is why it is much better to use a tankless variety. It allows you to sleep soundly without worrying about any leaks. The flow rate is a term used to determine how much hot water a heater can provide in a limited amount of time. The unit to measure the flow rate in Gallons per minute or GPM for short. Each unit has a minimum and a maximum flow rate. The minimum flow rate is the least amount of water needed to activate the heating system. This is called an activation flow. The maximum is what it delivers under the most ideal conditions. The inlet water temperature is defined as the temperature of the water that is coming into your home. This water temperature may change throughout the year and solely depends on your location. The inlet temperature can have a huge effect on the flow rate and the heating abilities of the unit. If you live in colder climates, your inlet temperature will be lower which will cause the machine to work harder in heating your water. This reduces the flow rate as the water comes out more slowly to give it more time to heat up properly. In hotter climates, the water can heat up very quickly and you will get maximum flow rates because the inlet temperature is higher. The temperature rise can be defined as the difference between the inlet and the outlet temperature. The flow rate is often mentioned in terms of temperature rise. This is because higher temperature rises will result in lower flow rates. It will take much longer to heat 20 degrees up than it will to heat 10 degrees up. So, whether you plan for a refreshing retreat to the snowy mountains or want to visit the beach. Or whether you just want to hang around with the family on the road, camping while you go around, any portable tankless water heater will ensure you never miss the comfort of your home. It will easily heat water for you without costing too much or draining your RV of energy.